Can you believe it’s 2018 already? This time of year is great for thinking ahead and setting goals for 2018. This post is the last of three on chiropractic marketing trends to watch for in 2018. To go back and read the first post on blogging, click here. Or to read the second post on social media trends, click here. I t’s already pretty obvious search engines are using location targeting to customize results. In 2018, search engines will be relying even more on individual search histories, browser cookies, and other hyperlocal information to give better, more customized SERPs (search engine result pages). Email results from Gmail are already showing up at the top of the search engine pages and will continue to rank high. This only adds another reason to make sure your chiropractic marketing includes sending e-newsletters to current and prospective patients. Ranking in the top of the search engine results organically is still just as important as ever. 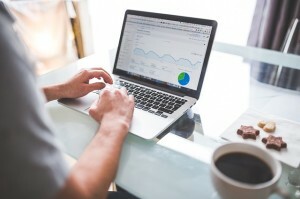 Although Google is giving more customized results, once you rank in the top on the first search, and they click on your link, you will become the preferred source for that type of search in the future. For example, if someone searches “pediatric chiropractor” and your practice shows up in the top results for the location, they will most likely click to your home page. Then, when they search for “pediatric back treatments” a few weeks later, a blog post on your site on that very topic is more likely to rank higher in the results than another practice. To see where your practice is ranking without location and your own browsing history in the mix, switch to incognito mode on your browser and do a google search for a key term like “chiropractor [your city name]” and see where you rank. To do this with Google Chrome, right click on your browser icon and click “New Incognito Window”. For Firefox, click on the menu icon in the top right and click “New Private Window”. For Safari, choose file and click on “New Private Window”. Did you get a Google Home for Christmas? What about an Amazon Echo? If not, then you probably know someone who owns one. Voice search is rapidly increasing and search engines are customizing their results with all of the new data they are getting from these searches. According to Google, 1 out of 5 searches already comes from voice queries. This affects chiropractic marketing and how we view search results in 2018 since they will be less visual in the future. 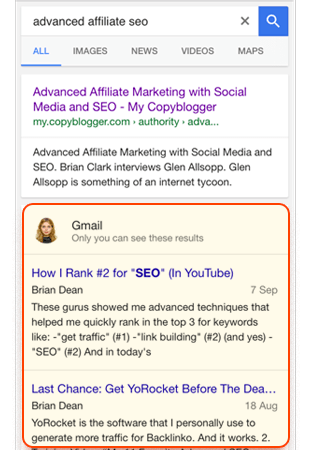 What can we do now to take advantage of this new type of search? Rather than only optimizing for terms like “chiropractor” and “chiropractic” think about adding search terms to your list of keywords like “chiropractor near me” and “benefits of chiropractic care” Keywords used in voice search are usually longer than those typed into the browser. Think about what you would ask your phone to search and the types of questions your practice’s website can answer. Although it may seem time consuming, creating one page with the most common questions asked about your practice and chiropractic care increases your chances of ranking for voice search. It also creates more opportunities to get the coveted “featured snippet” section of the Google search results – essentially a highlighted #1 spot on the page. With 22% of all voice searches coming from questions about local information, businesses can no longer afford to ignore voice search in 2018. Bill Esteb will be interviewing our Perfect Patients SEO expert on Tuesday, January 30 to get the SEO Essentials for 2018. Keep up with the trends and save your spot today! Recently, Google shifted to a mobile-first index which means that websites with user-friendly mobile site designs are prioritized in the SERPs. In 2018, the SEO results will go to businesses with user-friendly sites and mobile-optimized designs. According to Google’s research, websites that take longer than 3 seconds to load lose about 40% of their visitors – the success of your website lies in just a few seconds. Site load time is crucial. To test the speed of your website, you can use a free service like this: https://tools.pingdom.com. Does your homepage have images that showcase your practice and your team and are they optimized for quick loading? Is the text on your website broken up into sections for readability with headings and subheadings? Is it clear from the home page exactly how to contact your practice and schedule an appointment? If someone landed on your website and only had 3 seconds to look around would they be able to get enough information to know your practice could solve their problem and take action? 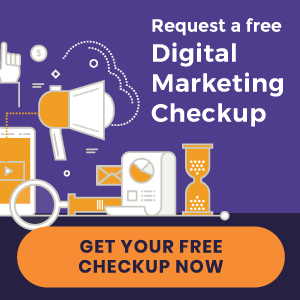 If you’re not sure of the answers to any of these questions, then you can sign up for a free 15-minute website evaluation from our team of digital marketing experts. They will take an in-depth look at your practice’s site and walk you through some steps to take and get it ready for 2018. 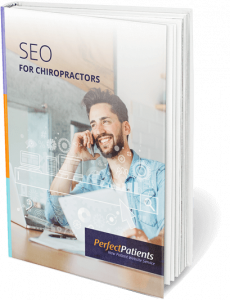 The 2018 chiropractic marketing trends for SEO are continuing in the line of asking how can we serve the patient better. It is no longer about hacking the system and trying to get the #1 spot through shortcuts. Think of it this way: chiropractic marketing and website design is the tool through which you can communicate how you uniquely solve the patients’ needs in your area. If you keep the patient top of mind at all times, then your 2018 SEO efforts will pay off. If all of this seemed just a bit confusing or you simply need a refresher, then download our SEO for Beginners eBook. This free resource will get you ready to for whatever the 2018 SEO trends will throw at you.